Animation is ready for "the next best thing." Let's face it: animation basically hasn't progressed that much since the Disney Golden Age. Yes, the techniques have improved, the colors are better, everything is more "real." However, you basically are looking at caricatures of people and things in a 2D environment. I even would bet you that I could show a few "improvements" that are nothing of the sort. You may not buy that argument, because new animation is undeniably snazzier, with better audio (a vastly overlooked aspect of modern animation) and lots of computer techniques that get the look sharper. However, what the industry really needs is to break out of the 2D world and actually present a more realistic portrait of, well, reality. That would be a game-changer... if done right. So far, I haven't seen much progress in that area. 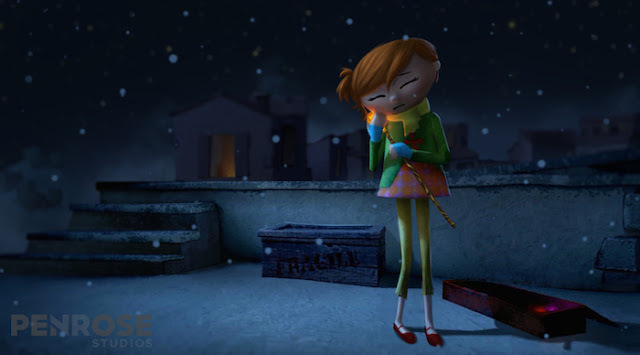 I am not a fan of 3D television or 3D films, but animation is one area where 3D could make a huge difference. Combine it with virtual reality, and it may be revolutionary. 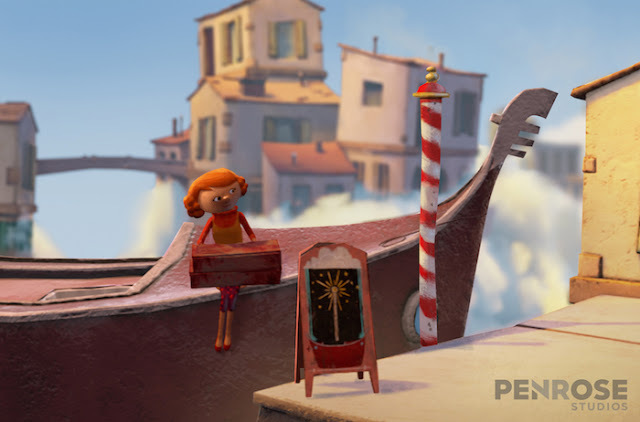 A promising pioneer in the field is Penrose Studios. Eugene Chung and staff working on "Allumette." Eugene Chung, a money guy ("venture capitalist") who sipped some coffee at Pixar, is behind Penrose. He is credited as a "writer and director" at the studio, so he is a creative type as well. Chung hooked up with Oculus, the virtual reality outfit, which then got acquired by Facebook, and maybe that's where a lot of that money came from. Chung seems to only stay at places briefly; he was out of Oculus after only about a year to found Penrose not much more than a year ago. So, this is brand new and in a state of flux. It is too early to say where this new field of animation is headed. I could throw more facts at you about this, but the proof will be in the pudding. 3D is one of those things that keeps getting hyped and then disappoints, so let's not get all excited to no purpose. Virtual reality, combined with stellar animation, would be a completely new sort of experience which will be worth checking out. In my very casual opinion, though, virtual reality itself still needs a lot of development to really realize its potential. 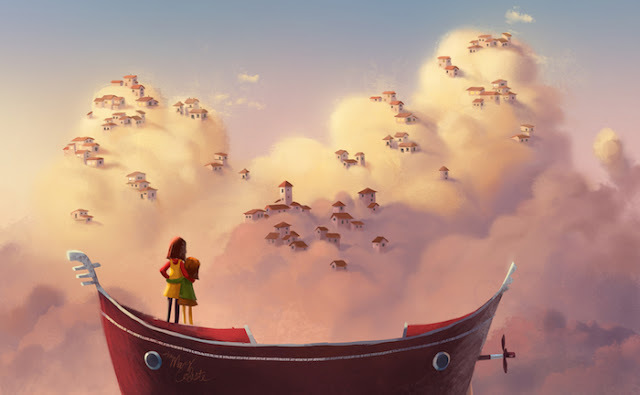 So far, Chung has been involved with only two films: "Lost," a short film that Oculus and he worked on; and "Allumette," a full children's story that Chung and his team worked up after he left Oculus and began Penrose. 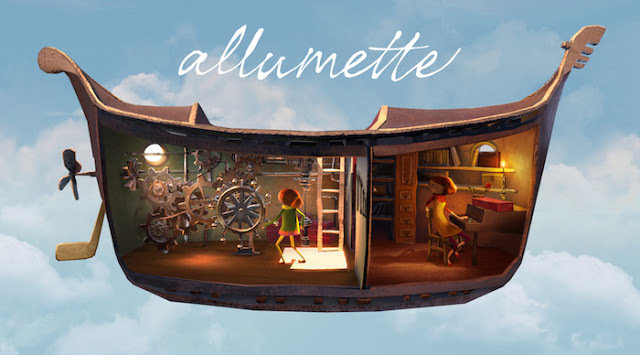 Allumette is what we are all waiting to see, and it is not out yet anywhere as far as I can tell. Chung posits that "this is that next major medium of human storytelling." Well, that's a pretty grand statement. We shall see. I am willing to give them a chance, and that isn't always the case. There is some interactivity involved with "Allumette." While it is very minor, there is a point or two where you can actually move around within the story and open up different views, not just different angles of the same thing. 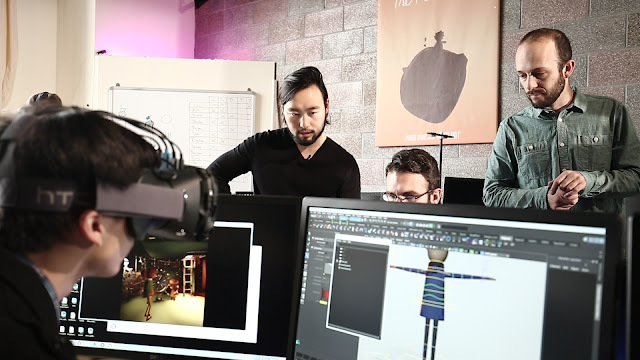 Virtual reality gives you that kind of true 3D experience, which is a lot different than what we usually think of as 3D film, with things flying at the screen and so forth. I can't review "Allumette" yet, because I haven't yet seen it. You have to wear one of those obnoxious headsets, or perhaps just big glasses, which is a downer. Anyway, the details will sort themselves out. I am just giving a head's up that something new is coming down the road, and you may be interested when it gets here. I sure am. So, I'm not sure what to think about this yet. 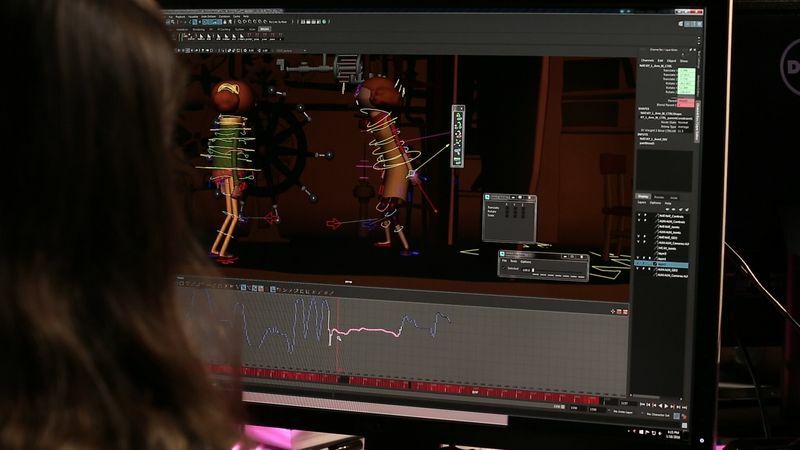 I like the entire concept of a marriage between virtual reality and animation. I don't particularly like the bulky VR viewers that you have to strap to your head and the fact that it could make a lot of people nauseous. With "Allumette," the medium is the message, as the famous saying goes. I'm not interested in the story, which I'm sure is very pleasing and novel, but in the technique. Unfortunately, pictures cannot do this justice. Let's just say you'll have to see this to believe it, so if you are into animation, you may want to make that a priority at some point. Unfortunately, we all still have to wait for it.